With Star Wars Rebels having just completed its first season, the animated extravaganza has proven itself to be a vital component to the boundaries of the overall Star Wars continuity, which has been redefined by the new franchise overlords at Disney, building to the upcoming sequel epic, The Force Awakens. However, as those of you who caught the finale know by now, Ezra, Kanan and the rest of the elusive crew of the Ghost may collectively let out a cheesy scream of “nooooo” when they realize who the Empire has just appointed to handle them: Darth freaking Vader. And frankly, the timing couldn’t be more perfect. WARNING: Some SPOILER topics ahead, which may be problematic for some who have yet to catch the finale. PROCEED WITH CAUTION! It could be argued that bringing Darth Vader front and center to a show only in its second season might present some logistical issues. The show takes place in a generally unillustrated period between Vader’s fiery, crispy birth in Episode III: Revenge of the Sith and his violent interrogation aboard the Tantive IV in Episode IV: A New Hope, and the Sith lord's path is pretty well set, as are the attributes which define him. However, this show seems to be quickly heading in a direction regarding the formation of the Rebellion that doesn’t leave much time to beat around the bush. Vader needed to be on show. Now. And there are plenty of things into which Vader can be squeezed without disrupting the immutable state of his being in the Original Trilogy films. 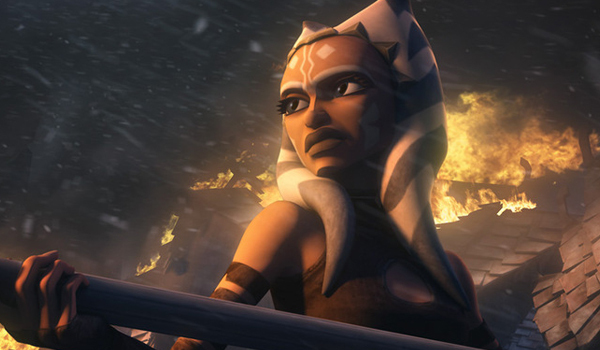 First and foremost, fans of Star Wars: The Clone Wars were probably left ecstatic upon the revelation of the true identity of the mysterious person with Rebellion leanings known as “Fulcrum.” Communicating via galactic CB radio with Hera on the Ghost, it would be learned that Fulcrum is, in fact, Ahsoka Tano, the former Padawan of Anakin Skywalker, and a central character in The Clone Wars whose speculated post-Republic fate was not generally seen as optimistic. It appears that Ahsoka has not only survived, but has served as a critical expediter to the scattered forces that will eventually become the Rebellion. This creates the potential to build the show towards a confrontation between the formerly jubilant, lighthearted Ahsoka and the person who trained her, whom she once lovingly referred to as “Skyguy,” Darth Vader. It would essentially be the long-in-the-making culmination of everything that took place in 7 whole seasons (and one theatrical film) of the celebrated prequel-era animated epic. Of course, we can take the fact that Kanan and his apprentice Ezra were somehow able to communicate with Yoda in the Jedi Temple to mean that the diminutive Dagobah resident has a solid read on the few Jedi that remain. Thus, much later on when Yoda tells Luke, “when gone am I, the last of the Jedi will you be,” he probably wasn’t telling another Obi-Wan style “Darth Vader betrayed and murdered your father” fib. This means that the Rebels story may end with Ezra and Kanan (perhaps at separate points in the storyline,) becoming Jedi martyrs, which would finally make the Rebellion strong enough to win that “first victory against the evil Galactic Empire” mentioned in the New Hope opening crawl. Darth Vader’s presence would obviously be a key component towards building to this angle, so it’s better to get him in the show now, rather than procrastinate. Lastly, having Vader on Star Wars Rebels might also be a nice way to explain the working relationship between him and Grand Moff Tarkin that seemed so integral to A New Hope. In the film, it almost appeared that Tarkin (Peter Cushing) - seemingly some old uniformed bureaucrat with a weird, made-up sounding title - was possibly bossing around Vader, the apprentice of Emperor Palpatine himself. With the basic structure of the Imperial higher-ups established by the end of the first season of Rebels, it would present an opportunity in Season 2 for the Rebels crew to shape the events that will occur in A New Hope in a more direct and profound way, despite the fact that they may end up being “one with The Force” by the time things get to that point in the canon. 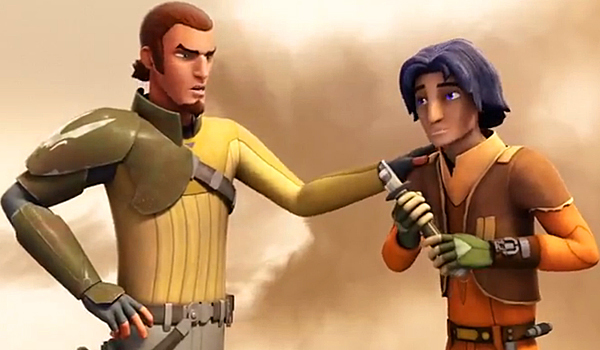 Star Wars Rebels may need to walk a fine line around the framework of the Star Wars continuity, but the show has proven itself with compelling characters and original ideas that carry forward the spirit of the property. We know that Ezra and the crew are not going to topple Darth Vader or the Empire, but it will be fun to watch them lay the foundation for the eventual victory of the Rebellion when the second season finally hits.